It was a perfect storm of Canadiana on a Vancouver Island highway Friday. Mounties had to briefly shut down a lane of the Trans-Canada Highway to let the country’s official animal – a beaver – cross the road. Greater Victoria’s Integrated Road Safety Unit was conducting speed enforcement on the stretch of highway also known as the Malahat when officers spotted a motorcyclist trying to slow traffic down the road. 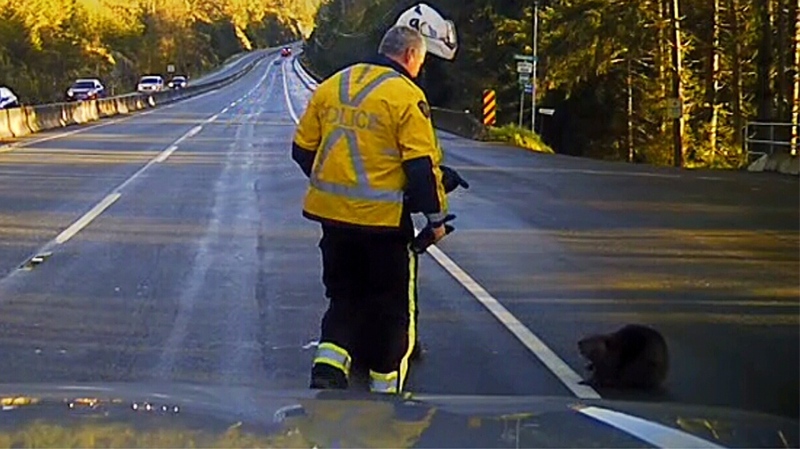 Dashcam footage shows the Mountie pull up to the motorcyclist as he tries in vain to usher the stubborn and sizeable animal off the highway. The RCMP cruiser than backs up and drives toward the beaver several times in an apparent effort to scare it off the road. At that point, the critter turned tail and waddled away into undergrowth on the side of the road, at which point police reopened the highway lane. 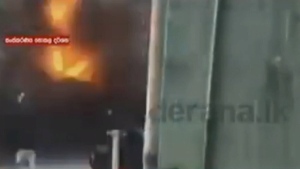 “It certainly lightened up the morning,” Dunstan said. No word on why the beaver crossed the road.